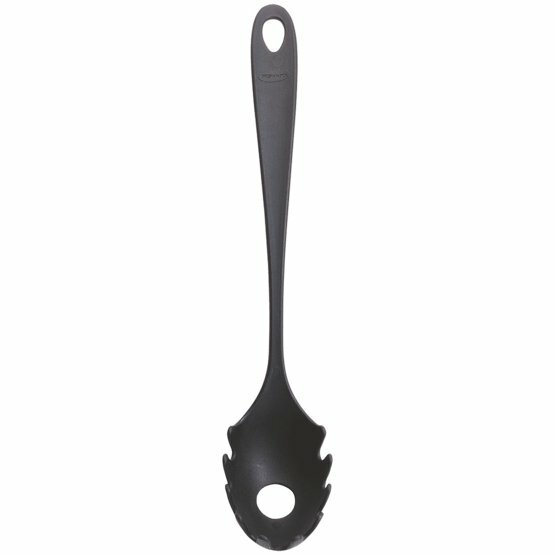 Pasta spoon that ensures good grip on pasta while allowing cooking water to drain away. Hole can be used to measure 2 portions of spaghetti. Design by Tobias Wandrup.